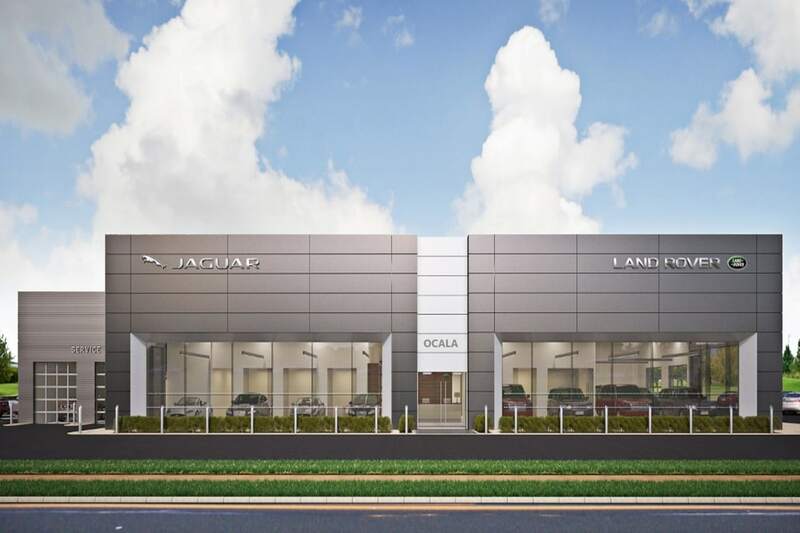 OCALA, Fla. - March 15, 2019 - PRLog -- Morgan Auto Group is celebrating the Grand Opening of Jaguar Land Rover of Ocala tomorrow, March 15, from 6 – 9 p.m. in first-class style, preceded by a ribbon-cutting and at 5:30 p.m. coordinated by the Ocala / Marion County Chamber & Economic Partnership. The dealership is located at 5830 Southwest College Road in Ocala and will serve all of central Florida from Gainesville south to Leesburg. The Irish-themed celebration is chock full of fun events for the whole family, featuring a gourmet gift basket from Olive Obsession, giveaways, raffles and entertainment by the Gainesville Irish Dancers and others, with Keto and healthy hors d'oeuvres created by Chef Felix of The Fiery Chef in Ocala. Guests will also enjoy a complimentary St. Patrick's Day signature beverage from Fish Hawk Spirits. The new auto dealership sits on seven acres at the corner of Southwest College Road (US 200) and SW 66th Street. In addition to new Jaguars and Land Rovers, it sells and services all pre-owned vehicle makes and models, using only factory-trained technicians. Paul Corbett has been named General Manager of the dealership to oversee operations. He is originally from Boston, Massachusetts and was most recently General Manager of Lexis of Jacksonville. "Brand new, expansion Land Rover dealerships don't come out of the ground very often," said General Manager Paul Corbett. "We felt this was a rare opportunity to bring the Jaguar performance brand and the luxury Land Rover brand to right market in central Florida." The hallmark of Morgan Auto Group dealerships is their keen focus on impeccable customer service and direct customer engagement in all departments. Customers will enjoy enhanced benefits and loyalty programs not found at other area dealerships. The service department makes it easy for customers to blend auto maintenance into busy schedules. Morgan Auto Group is owned by Larry Morgan and his son, Brett Morgan. Both are highly respected business and community leaders in the Tampa Bay area. Larry Morgan is past Chairman of the Florida Automobile Dealers Association, past Chairman of Bay Care Health Systems, Inc., and founder of Tires Plus. His philanthropy and community involvement include past Chairman of the Valspar PGA Championship that raises millions of dollars annually for local charities and a $5 million family gift to establish the Morgan Heart Hospital at Morton Plant Hospital. For more information, visit http://www.morganautogroup.com/. Jaguar Land Rover of Ocala is located at 5830 Southwest College Road in Ocala, Florida 34474. Dealership sales and service hours are Monday through Friday, from 9 a.m. to 7 p.m. and Saturdays from 9 a.m. – 6 p.m. The sales showroom is also open on Sundays from noon to 5 p.m. For more information, call 352.453.8030 or visit https://www.jaguarlandroverocala.com/.